Teach your kids properly at a young age. From Fox News: A town in New York held a buyback-style event for children in the area, asking for their toy guns in exchange for a different Christmas gift. Former Tucson, Arizona, police officer Brandon Tatum called the event an “overreaction” on “Fox & Friends” and stressed that he vehemently disagrees with it. “I think that we need to teach our children about gun safety. We need to give them access to information on these topics,” he said. 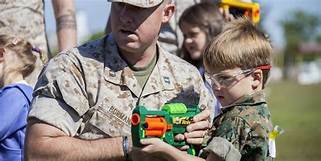 Some children were reportedly given toy guns at the Dec. 13 event in order to trade them in for different toys. “I’m all about trying to prevent these things from happening going forward, from senseless people dying or being injured, and I think this is one way to do that,” he said. Lt. Derek Warner, of the Hempstead Village Police Department, told WABC that children’s lives could be put at risk if they’re given toy guns because kids could potentially mistake them for real firearms. Seawright argued that events similar to the one in Hempstead teach kids responsible and proper gun use at an early age. Isn’t that special? The good mayor believes his opinion is the only viable option. 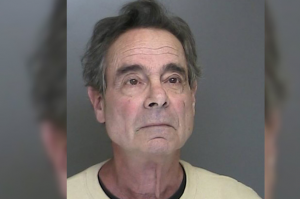 From NY Post: A Long Island man was busted for making death threats against GOP U.S. Senators Chuck Grassley and Susan Collins for their support of then-Supreme Court nominee Brett Kavanaugh, The Post has learned. The Smithtown man is accused of leaving disturbing voicemails on the senators’ office phones following their public support of Kavanaugh’s nomination and confirmation, in an attempt to discourage the pols from voting in the jurist’s favor, a source familiar with the case revealed. Most of the calls were placed from a pre-paid cell phone, according to court docs. DeRisi took a different tone with Collins, of Maine, calling her a “twit” on the day of the vote. Less than an hour later, Collins received another message from DeRisi. DeRisi pleaded guilty in Nassau County in 2015 to one count of aggravated harassment, for repeatedly calling his target’s office more than 15 times, and leaving threatening voicemails. It’s not clear if that victim was also a public figure. A message to DeRisi’s residence was not immediately returned. Reps for Collins did not return requests for comment, while Grassley’s office referred the Post to the Public Information Office of the United States Capitol Police, who also declined to comment. From NY Post: Eight alleged violent MS-13 members have been indicted for three savage murders and other crimes, officials announced on Thursday. Oscar Acosta — a rival of the gang La Mara Salvatrucha, or MS-13 — was lured to a secluded area in Brentwood, LI, to smoke pot but was instead brutally beaten with a tree branch and thrown unconscious into the trunk of a car. He was then taken to another secluded area where he was slashed to death with a machete by several of the gang members, according to an indictment unsealed in Central Islip federal court. The attack happened in April 2016. Acosta’s body was found that September. Similarly, Javier Castillo and Dewann Stacks were stabbed to death by MS-13 members in separate incidents in October 2016, prosecutors said. The defendants, who also face racketeering charges, are all illegal immigrants aliens from El Salvador, officials said. A total of 24 people have been charged in the case since 2016, including suspects in the murder of Brentwood students Nisa Mickens, 15, and Kayla Cuevas, 16. Do The Police Have An Obligation To Protect You If They Are Witnessing You Being Assaulted? Your not going to like this answer, but it is no. Follow with me as this gets a bit complicated. First part is part of a story telling us about Joe Lozito and what happened to him in NY. second part is the reason for the decision. all the way to scotus . Finally there is a You-Tube of Joe talking with Reporter about case. Kinda long at 9:00 Just interesting , but not NECESSARY. He says he put his life on the line to stop a killer — and claims cops sat back and watched. who sued the city last year for failing to prevent the attack, will get his day in court. The drug-fueled Gelman had fatally stabbed three people in Brooklyn and killed another with a car during a 28-hour rampage when he entered an uptown No. 3 train on Feb. 12, 2011. Police officers Terrance Howell and Tamara Taylor were part of a massive NYPD manhunt. They were in the operator’s cab, watching the tracks between Penn Station and 42nd Street for any sign of the fugitive. Lozito was seated next to the cab. In the official NYPD account and Howell’s own affidavit, Howell heroically tackled and subdued the killer. But Lozito tells a different story. The 42-year-old mixed-martial-arts fan says he watched Gelman approach the cab window, barking: “Let me in!” Gelman even claimed to be a cop, but a dismissive Howell turned away, he says. Gelman walked off. A straphanger recognizing Gelman tried to alert the cops, but was also rebuffed. A minute later, Gelman returned and set his sights on the 6-foot-2, 270-pound Lozito. “You’re going to die,” Gelman announced — then stabbed him in the face. Lozito leapt from his seat and lunged at the 23-year-old Gelman as the psycho sliced at him. In his account, Lozito pinned Gelman to the floor, disarming him. Howell then emerged from the booth, tapping Lozito’s shoulder: “You can get up now,” he said. “By the time he got there, the dirty work was already done,” Lozito said. Gelman was convicted in the spree — which left his girlfriend, her mother, his stepfather and a pedestrian dead, and five others injured. Lozito says a grand-jury member later told him Howell admitted on the stand that he hid during the attack because he thought Gelman had a gun. did we get that part. Cop was afraid because he thought psycho had a gun. Rest of this story HERE!! OK, now for the Decision. Chilling. On February 12, 2011, Joe Lozito was stabbed seven times by serial killer Maksim Gelman and successfully halted Gelman’s killing spree. Two New York City police officers initially watched the scuffle without intervening. Now, the connection between Joe Lozito, New York City, the Supreme Court, and martial law is in the spotlight. Last year, Joe Lozito filed a civil suit against the New York City Police Department, alleging that the police officers failed to come to his aid. The City of New York countered, saying that the police have no duty to protect citizens, and has filed a motion to dismiss the case. Before you join the outraged buzzing going on in social media, you should know that the City of New York is right. That each person is responsible for his own defense against criminals has long been the law in the United States. The U.S. Supreme Court implied this in 1856, when it decided South v. Maryland, and held that a sheriff did not have a duty to protect an ordinary person, but only had a duty generally to uphold the Law. More recently, in Castle Rock vs. Gonzales, the Court reaffirmed that the government has no duty to protect the average person. In these cases, and the others like them, the Supreme Court has indirectly upheld and re-affirmed Americans’ private and personal right to keep and to bear arms for self-defense purposes in accordance with recognition of citizens’ inalienable right so protected by the Second Amendment of the U.S. Constitution. For all practical purposes, the Constitution and existing case law implies that Americans are tasked with protecting and defending themselves, as the only duty of law enforcement is to keep the peace by upholding the law. Will the Police Protect YOU? Given the rampant speculation that the United States government may be in the process of declaring martial law, the relationship between Joe Lozito, New York City, the Supreme Court, and martial law may push those who have maintained trust in the Federal government finally into “conspiracy mode.” The police have no duty to protect American citizens, and may even now be training in preparation to disarm us. We cannot reasonably expect to be protected or defended by law enforcement. We can, however, expect police and other law enforcement agencies to “uphold the law.” If suppression of civil liberties becomes the “law,” will you uphold your duty? So let’s sum this up shall we. Basically as always when seconds count, a cop is always minutes away. And now he just may watch. Do you need anymore reasons to take your own safety into your own hands? Thought not.